6 Performance Fans for R740/740XD, CKThe various components of a computer system such as the chipset, the graphics card and the hard drive can produce a large amount of heat while operating. This large amount of heat may be harmful for the proper functioning of the system. 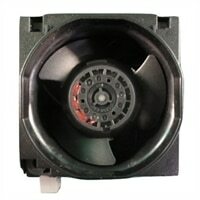 The fans are responsible for dissipating this heat and maintaining the safe temperature limits. Different processors have different operating temperatures. Higher the speed of the processor, the better the fan need to be. The chassis type is also important as it defines the housing of the assembly and compatibility with the system. In order to buy the right fan for your system, we recommend that you use the Service Tag look up feature in the Parts For Your Dell™ tool. This will allow us to identify the processor type and speed of your system and select compatible products for it. Please note that some of our replacement products are provided as kits or assemblies. These kits may contain additional parts required for installation; these parts will be listed separately as 'Component Parts' in the Highlights section of this page. In case a product is not sold as a kit or assembly, it may require complementary parts for ease of installation. The various components of a computer system such as the chipset, the graphics card and the hard drive can produce a large amount of heat while operating. This large amount of heat may be harmful for the proper functioning of the system. The fans are responsible for dissipating this heat and maintaining the safe temperature limits. Different processors have different operating temperatures. Higher the speed of the processor, the better the fan need to be. The chassis type is also important as it defines the housing of the assembly and compatibility with the system. In order to buy the right fan for your system, we recommend that you use the Service Tag look up feature in the Parts For Your Dell™ tool. This will allow us to identify the processor type and speed of your system and select compatible products for it. Please note that some of our replacement products are provided as kits or assemblies. These kits may contain additional parts required for installation; these parts will be listed separately as 'Component Parts' in the Highlights section of this page. In case a product is not sold as a kit or assembly, it may require complementary parts for ease of installation.